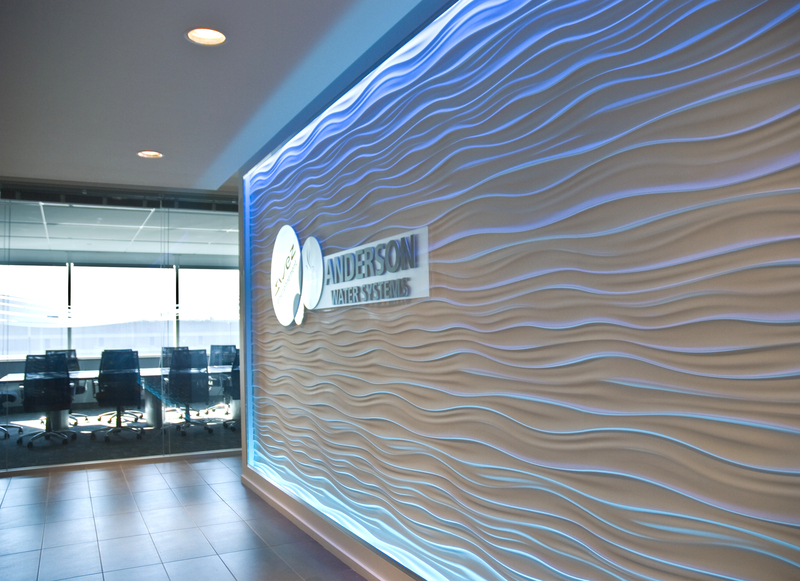 Anderson Water Systems | Projects | Radcliffe Design Associates Inc.
New Canadian head office for a multinational corporation specializing in water, natural resources and waste management. 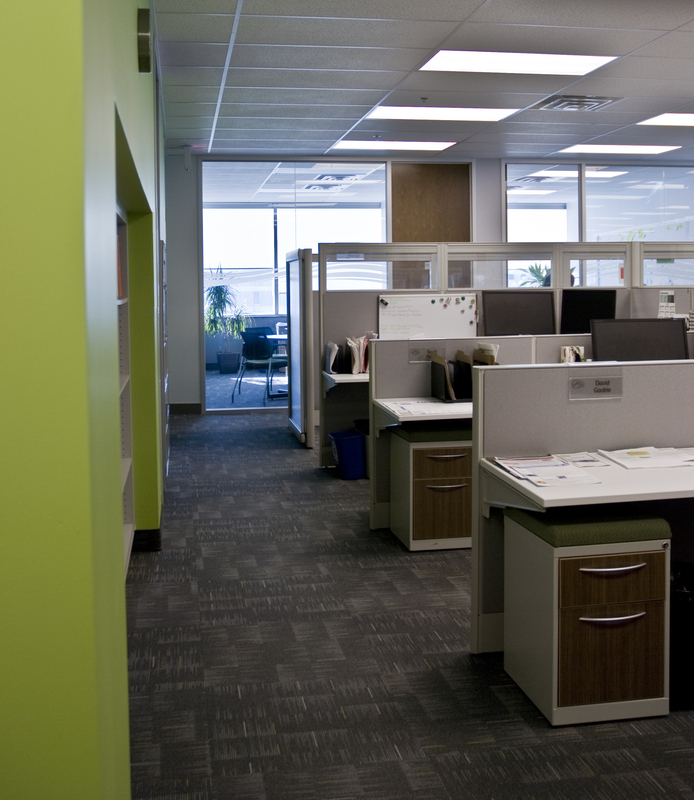 The facility, located in Ancaster, Ontario, integrates under one roof professional engineering offices, corporate services and a vast manufacturing warehouse. 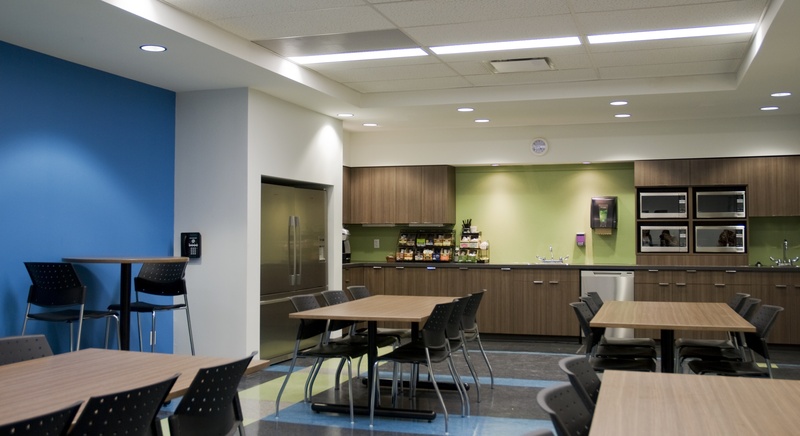 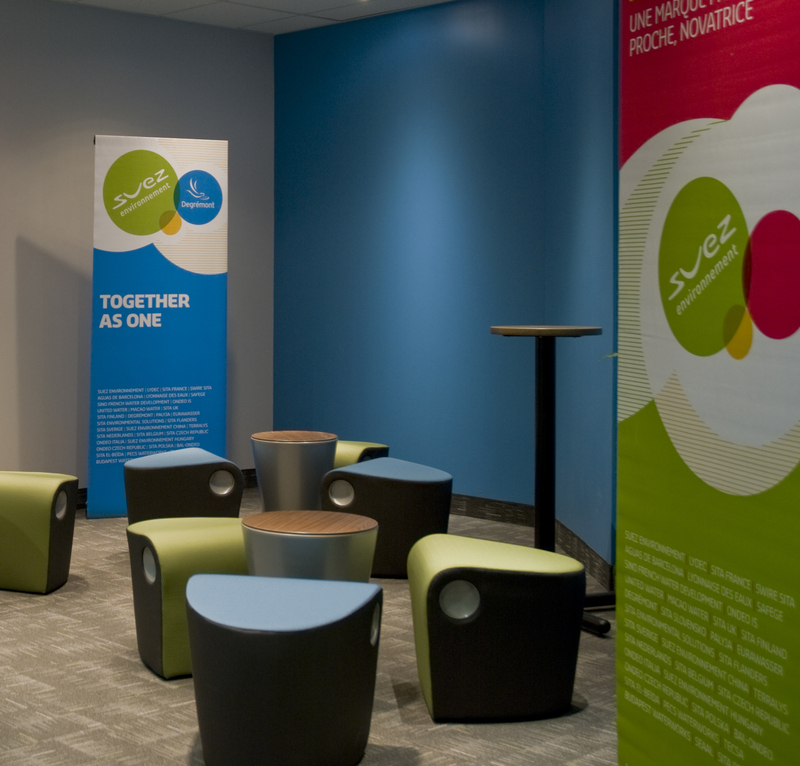 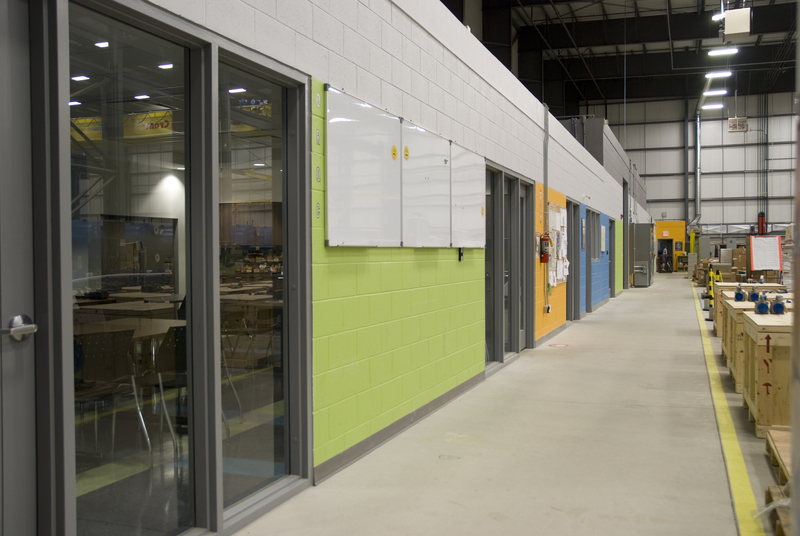 The inclusion of the lunchroom on the warehouse level is intentionally designed to promote casual interaction between management, professional and production staff.